Thinking of visiting the South of France for your 2015 family holiday? Should I book my villa rental early or wait for a last minute deal? South France Villas top 5 advantages of booking your summer holiday early. You get to choose exactly what you would like with no compromises. Take advantage of the early booking offers on Flights, Eurostar and Ferry travel. 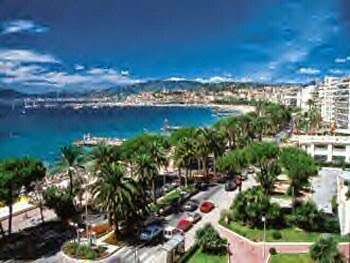 Something to look forward to, "this time next month I will be in the South of France"….only so many sleeps! Easier to budget as your deposit has already been paid. Plenty of time to plan your holiday agenda, the best places to visit, which beaches etc. When should I book? If you are a large group with specific requirements then the earlier the better. The larger Southern France villas with pools, en-suite bathrooms, air-conditioning, heated pools and within walking distances of shops, restaurants etc., can already be fully booked for the school summer holidays by mid January. Francophiles who come to the South of France every year have even been known to book 18 months in advance to ensure they get the right villa or location. For example, this wonderful villa with breathtaking views over Collioure, Languedoc has only one peak season week left Villa-la-voile , don’t panic we have many other fabulous villas that do have availability! Like this lovely one near Grasse on the Cote d’Azur Villa-des-Pierres, with heated pool and a hot tub. Should I wait for a last minute special offer? Again, this depends on your requirements. If you are not too concerned about staying in a specific South of France village or town and are a small family with date flexibility then maybe you could take the risk. However, you may find that the best ones will have been snapped up. New Villas are been added all the time, so this could work to your advantage. 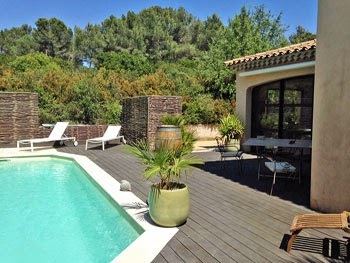 This French villa on a golf course near Pezenas was new to the site in August La-Petite-Bastide - a great family rental.